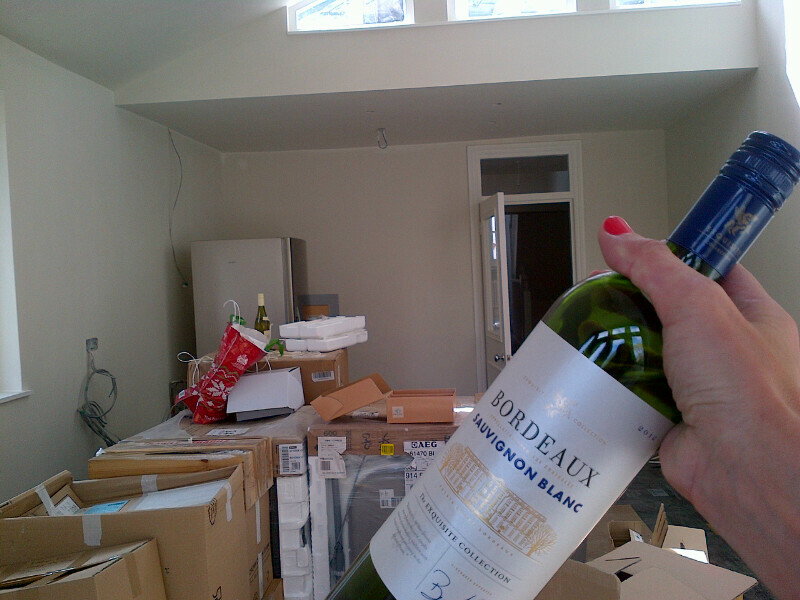 Raising a glass to a new kitchen. But what’s in the glass? I don’t think it was just because I was hot and dusty and surrounded by Total Chaos that it tasted good because I returned to it the next night and it still tasted lively and bright with grassy citrus. It is also cheap: just £4.99 from Aldi. Can I pour you a glass of something lovely? This is the home of my blog: weekly wine recommendations + chat. Sleep. Cocktails. Clementines. This isn’t a dream or a nightmare.